Snape is being played by a new player, so some things may be different. 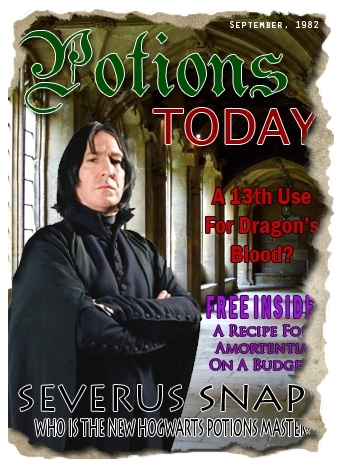 Severus Snape is the Potions Master at Hogwarts. He is seen as a hard, strident man who doesn't suffer fools gladly. 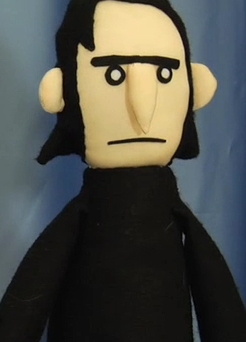 Severus Snape is bitter. There is good reason for this. He's torn between the pride of the Dark Lord's Death Eaters, and the duty of Hogwarts and Dumbledore's Order of the Phoenix. He's a proud man. He's the youngest potions master in a while, and is brilliant in his field. He's on the cutting edge while still keeping to old traditions and teaching methods. He is well-versed in curses, jinxes and hexes, making him a splendid dueler. He has a rich vocabulary, and he uses it to great advantage as skillfully as he wields his wand. He's a loyal man to those who are loyal to him. The Dark Lord promised him much, and, young and foolish, he bought that promise. Now, he pays for it with pain, raids, and secret plans. 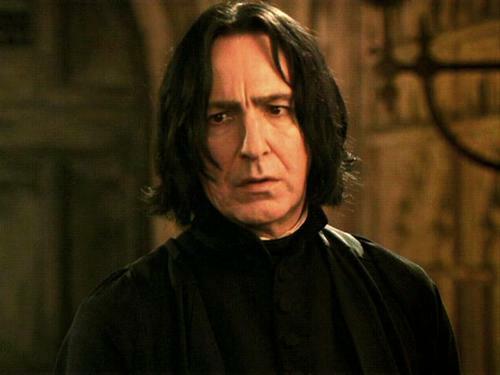 In whatever way he can, Severus Snape is a man who keeps his promises. He promised one woman to care for her child, and has risked life and limb for twenty years doing precisely that. He promised the Headmaster he would serve him for Lily's life, and even though Albus was unable (or unwilling) to keep his bargain, Snape has kept his all this time. And will. He is a passionate man, but does not show it, except in his temper. He feels too deeply to expose himself to any ridicule — not again. 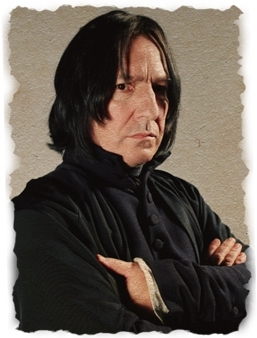 Severus Snape did not have the happiest childhood in the world. In fact, one could say that he had one of the worst. His mother, a pureblood witch named Eileen Prince, married a muggle named Tobias Snape and the result was a half-blood child by the name of Severus. Unfortunately, Tobias did not like magic or the wizarding world and so young Severus mostly ventured out into the poor, industrial neighborhood of Spinner's End to find friendship. It was there that he found Lily Evans. She was a muggle-born witch and they quickly became firm friends - both of them looking forward to going to Hogwarts when the time came. And finally the time came for them to be sent away, and despite their being nigh-inseparable friends Snape was sorted into Slytherin while Lily was in Gryffindor. Unfortunately, this would be the beginning of a great, downward slope for him. During his time at Hogwarts, Voldemort began his reign of terror. Snape remained friends with Lily but he also found himself involved with a gang of Slytherins. 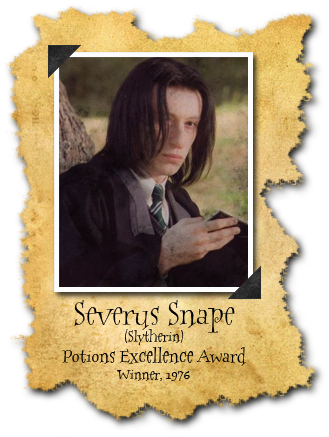 Unlike many students, Snape was quite proficient with dark magic and he even developed spells of his own - very much against the rules of the school at the time. 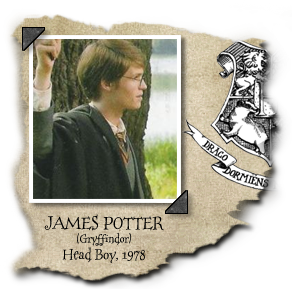 He also made permanent enemies in James Potter and Sirius Black, too self-important Gryffindors who liked nothing better than to torment him. 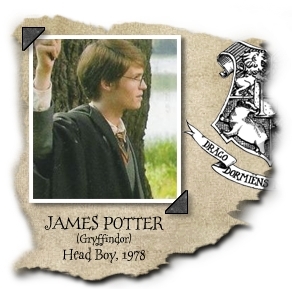 Furthermore, James was also a rival for Lily's affections. After an incident in their fifth year, wherein Snape accidently called Lily a mudblood, she cut off all ties with him - appalled by his behaviour and his interest in the dark arts. Hating James for 'stealing' Lily from him, Snape nevertheless felt he owed the man his life after he saved him from one of Sirius Black's pranks that would have ended up in his being mauled by the werewolf Remus Lupin without Potter's intervention. He graduated from Hogwarts with high marks and, along with a number of other Slytherin students, went on to become one of the Dark Lord's Death Eaters. But this would not last as Snape would come to serve Dumbledore less than a year after his joining Voldemort. 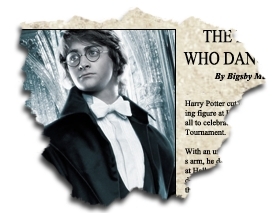 Although he initially became a member of Hogwarts' staff as a spy for Voldemort, the revelation of the Prophecy involving Lily and James' son prompted him to beg the Dark Lord for his unrequited love's safety. Fearing that she would be killed, he turned coat and joined Dumbledore in exchange for Lily's safety. Despite his best efforts, Lily sacrificed herself to save Harry and so Snape decided that he too would keep the boy safe. However, he asked Dumbledore to keep his actions a secret - and to make sure that nobody knew of his love or even his true allegiance. He became the Potions Master, and was still working at Hogwarts many years after the fall of Voldemort when it came time for Lily's son to attend there. Despite his vow to defend Potter, Snape never truly liked the boy. In fact, he did not truly like anyone and his every effort to keep Harry safe were always kept a secret by him. 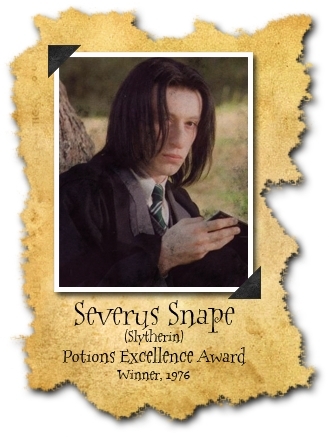 Playing favourites with his House of Slytherin, many would come to despise Snape - notably those in Gryffindor. All the same, it was Snape who saved Harry from the possessed Professor Quirrel during a Quidditch match and who tried his hardest to keep the Philosopher's Stone out of the man's hands. In the Potter boy's third year at Hogwarts, however, Snape's past came to the surface. 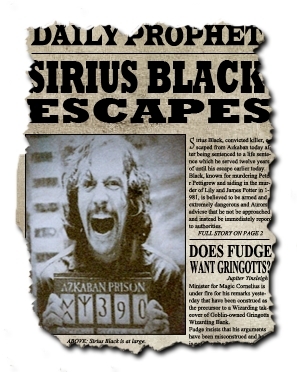 With news that Sirius Black, his childhood tormentor, had escaped from Azkaban the school was put under siege by Death Eaters on the hunt for the escaped convict. 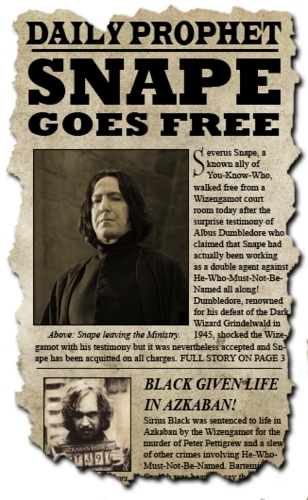 After an attempt to arrest Black was foiled by Potter (who had since discovered the truth about Sirius' involvement in the death of his parents), Snape was forced to allow Sirius to escape - although he was still on the lam. Mother's portrait hangs in Spinner's End and in my rooms at Hogwarts. She assisted us in the whole debacle with Siobhan Noble and the portrait. However, in exchange, she called me by my childhood nickname in Noble's presence. Growing up in Spinner's End was difficult. It was only allayed by the presence of a young, bright child. Lily Evans tolerated much from both myself and her banshee of a sibling. 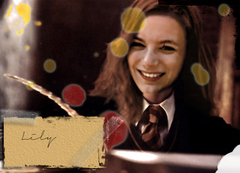 We remained friends until she decided that she preferred the company of James Potter. 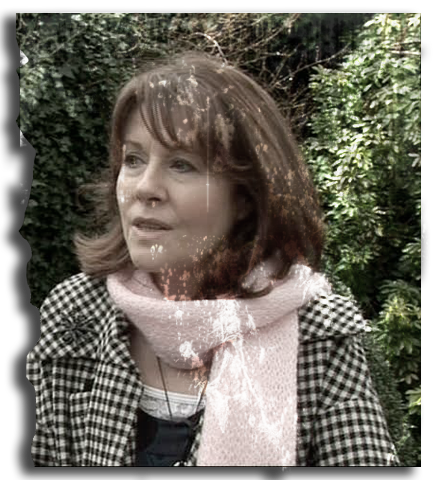 Siobhan Noble found a portrait of Evans — excuse me, Potter — recently, and I was able to converse with her for a very short time. It seems that the Headmaster may not have been as accurate concerning her wishes as he thought. Imagine my utter surprise. 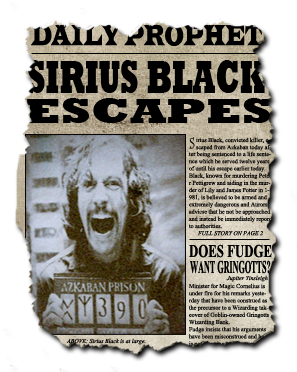 Sirius Black was one of the four boys who found it their sole delight to wreak havoc when I was a student at Hogwarts. Not much has changed, except that now, he has spent several long years in Azkaban, adding genuine neuroses to the multitude already budding during his school years. He has been found innocent — rightly I'll grudgingly admit — of the crime of killing the Potters, though he does share the blame in other less … glamorous crimes. I will work with him when I must, but we will never be closer than simple colleagues. James Potter was another one of those infamous "Marauders". He showed slightly more sense than Black, though that isn't saying much at all. I have recently discovered he was a stag animagus, which proves his flighty nature and slow wit. He was for a certainty a Gryffindor, bravely winning the heart of the fair maiden — though it took him years to do so. I hated him for saving my life, but I must grudgingly respect him giving himself for his wife and child. I have decided to risk it all again, this time for a witch who has taken the time and effort to defend me, instead of the other way around. She is a wickedly intelligent Slytherin, and I think we understand each other more than anyone else in our circles. It's an utter shame she is marrying Morgan, though. I understand, but all the same. Student Tolerable Julian Legume is a troubled child. He is as intelligent as some students graduating this year. However, he has health issues which cannot be understood or explained yet. I worry about him. Student Tolerable This young Slytherin is a sprite. He could easily be the next Lucius Malfoy. 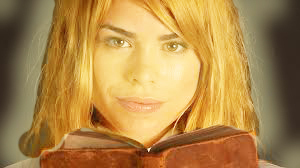 Blond, sneaky and fair of face. However, I do not see the instinctive cruel streak I saw in Lucius when I met him. Thank Merlin for that. Student Irritating I never thought that I would say it, but I believe I have found a Gryffindor student more arrogant than Potter's spawn. A transfer from Beauxbatons, this young lion chose to openly defy me during a detention. We shall see how he fares during his later years. Colleague Tolerable Minerva is a wily old cat. She is one I consider a confidant, though I don't actually confide that much in her. She works tirelessly to protect her students in a much more overt manner than I am able. I am appreciative of that. Headmaster (Deceased) (Still) Maddening Albus. Bloody. Dumbledore. I will work for him as long as I must, because he assisted me in my time of need, but for several incidents, I will not blindly kowtow like a mindless automaton. I despise his 'Greater Good.' 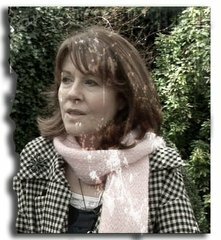 My own 'Lesser Good' is a good enough reason to do as I do. Bane of Existence Arrogant Potter Junior has been a thorn in my side since I laid eyes on him entering the Great Hall his first year. He is constantly getting into trouble, or when trouble eludes his merry chase, he is proving the lack of connection between a Gryffindor's mouth and his brain (if such an elusive thing can be found). He and his two cohorts — Know-it-all Granger and Quick-To-Anger Weasley — are some of the most frequent visitors in my classroom during my detention hours. I have kept my promise, and will continue to do so, no matter how difficult it may be. Order Member Irritating Someone may have confunded the old wolf. He is acting strangely, even for his flea-bitten self. Death Eater Pathetic Peter Pettigrew is a cowardly Gryffindor, an idiot and a simpering fool. Death Eater Problematic James Lancaster could become a problem if my real loyalties are discovered. I will watch him closely and if need be, take steps to protect all I hold dear. Dark Lord Crazy The Dark Lord used to be an affable, charismatic man who won men to his side with idealistic dreams. However, the Prophecy changed all that. Now, he's an apoplectic madman with an unhealthy fixation on a teenage boy. Death Eater Public Enemy #1 Whoever this man is, I will invent a curse stronger than sectumsempera to exsanguinate him, heal him, and do it again in slow, torturous motion. He has harmed those under my care far, far too many times to live upon this planet for long. When I am able, his heart is mine. Siobhan's Fiance Ally Morgan, or Jake as he insists I call him, is an honorable man, if a bit of a Gryffindor in the way he does things. 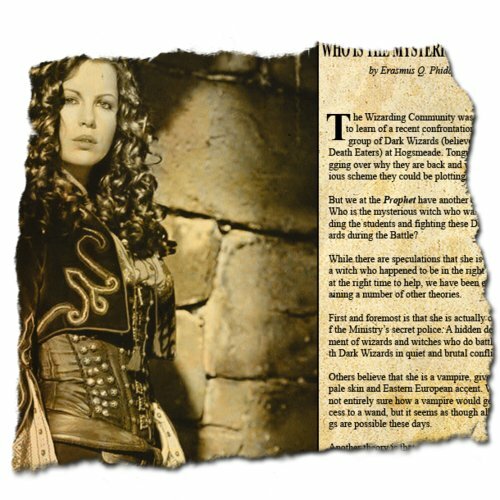 He is my comrade-in-arms in the matter of protecting and equipping Siobhan to fight in this conflict. He is aware of the way things truly are between us, and has graciously allowed it to continue. I will see what pallatives I can devise to assist him during his difficult time.